Navigating a job search can be intimidating. You often don’t know what you’re getting into until you’ve filed all your paperwork and signed on the dotted line. If you’re considering a job like neurosurgery or floral arrangement, well, we can’t help you there. But if you’re thinking about joining the truck driving industry, we’ve got you covered. To help determine if this field is right for you, start by weighing the pros and cons of trucking. Getting into trucking doesn’t require years of schooling or lots of prior experience. 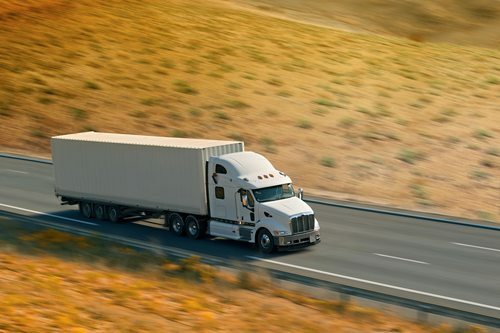 As soon as you want to take the leap, all it takes is acquiring a commercial driver’s license (CDL) and taking a quick course to learn the basics (and when we say quick, we mean it — you can finish some courses in a matter of weeks). Whether you need a job quickly or just dread the thought of school, trucking makes jumpstarting your career simple. When you’re on the road all day, your options for food are often limited to quick drive-thrus. It’s both easy and tempting to pull off the highway when you see a McDonald’s sign, but too many soft drinks and burgers lead to an unhealthy diet. Truckers have to keep that in mind. On the road, they need to look for more nutritious menu items and pack healthy snacks in advance. Demand for truckers is high, and that’s not changing any time soon. With nearly three-quarters of freight tonnage reaching its destination by truck, retail comes to a halt without trucking. That means undeniable job security for truckers. As long as you have your CDL and a solid driving record, you’re a solid candidate for trucking for as long as you want to be. You can move across the country or leave a company you’re unhappy with without the fear of being out of work — and that’s not something you can say for most industries. Driving for long hours can wear a person out, so truckers need to be especially mindful of their sleep patterns and must ensure they’re getting enough rest. New drivers would be wise to learn the tips and tricks of staying awake on the road without becoming too tired. For instance, take power naps before resuming a long drive, get plenty of exercise, and eat food that prolongs energy. With trucking as your career, you don’t have desk-mates to distract you or a boss peering over your shoulder throughout the day. Truckers have the rare pleasure of being able to work independently and flexibly. You choose when you take breaks, what music you listen to during a drive, and what you wear on the job. That said, trucking is often a one-man job. You generally don’t have co-workers with which to stand around a water cooler or grab drinks after work. For some, that might not matter, but for others, it might get boring or even lonely at times. However, to combat this, there are plenty of ways to have fun while driving alone. If you dread tasks like tallying up an inventory or filing paperwork in triplicate, trucking might be right up your alley. In this field, you won’t be a pencil-pusher spending time on monotonous, detailed procedures. Your primary responsibility is to focus on the road. Every job in the world has its ups and downs, and this one is no different. By better understanding the pros and cons of trucking, you can decide whether or not this is the path for you. Did reading all about the pros and cons of trucking spark your interest in becoming a truck driver? You can learn everything you need to know at the Truck Dynasty Driving Academy, a professional truck driver training program that involves 160 clock hours and four weeks of professional driver training. In addition, current drivers can use the refresher course to sharpen and develop their skills. To get started, please give us a call at 417-831-8188, e-mail us at info@tddallc.com, or contact us online. We look forward to hearing from you!